Quite often, I have been asked why I am always so upbeat as if being happy is wrong or a strange thing to be. Friends are well aware of the challenges that I deal with on a daily basis. My personal life is a bit of strain these days, and this isn’t the first time it has been tough. But, my default mode is positive. As to how I stay this way, the answer is always the same. I credit my notebook. When I give this response, most often I get a sideways glance. People think I’m either quirky or just obsessed with stationery. The truth of the matter is that personal writing is the means by which I process the world around me, try to make sense of my relationships, collect my memories, and make observations about the world that allow me to be amazed by just how glorious the simplest things are. Personal writing taps into my very soul. My notebook is a tool. How Does My Notebook Get Me Through the Challenging Times? I have a good friend, who laughs at me when I say, “I’ll have to process that.” I often step back when it comes time to make assumptions, answer questions, draw conclusions, and pass judgments. Time is my friend; and during that time, I write. 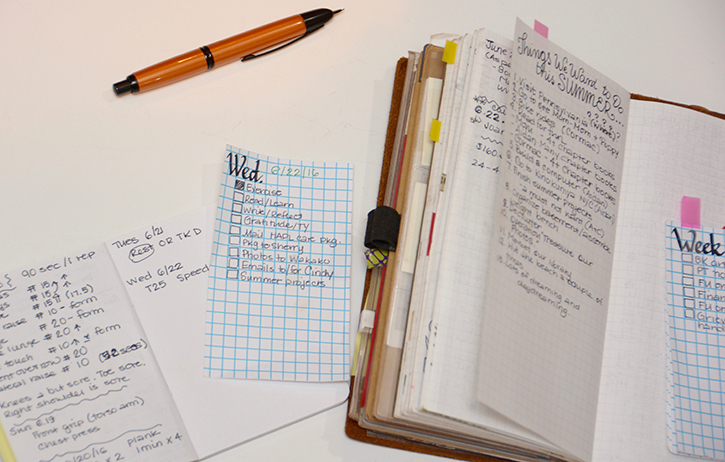 For me, writing is organized thinking. It gives me a chance to really come to know what I feel about myself, others, and the world around me. Mind Mosaics are the name of a writing technique that evolved in my notebooks over time. I use it often and share it often on my Instagram account. I like it for many reasons, but mostly because it gives me a quick way to relieve stress. I quickly write about four things that are cluttering my mind, in a short amount of time. Using a two-page spread, I write in a clockwise motion, focusing on one topic per quadrant of the writing space, at a time. There is something comforting about circles and writing that way is definitely a great feeling. It is also aesthetically appealing to me. I write a lot of unsent letters. Sometimes I write letters to my sons. I think that one day they will find my notebooks after I am gone. There are many notes for them. Whenever I am struggling to find ways of discussing something with someone or dealing with an issue that involves another person, especially when there are negative feelings, I write a letter that I am never going to send. This gives me the opportunity to explore my feelings and know what it feels like to express them. Often I realize that the things I’ve written are not things I would actually say to another person, but getting them out of my head and heart and onto the paper, helps me in so many ways. 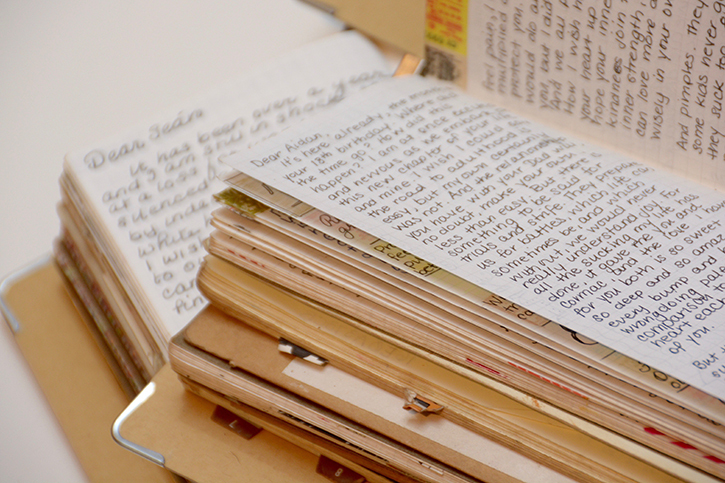 So, there are many types of unsent letters. Some are angry, but some are sweet treasures. I love lists so much. When I was around 9 or 10, I had an entire notebook filled with lists about different topics. People from all over used to help me add to my lists. Lists are easy, usually. But lists can also be much more insightful than their simplicity might imply. A list entitled “Ten Things I Like About _______,” when you’re not feeling especially positive about someone, can push you past your anger. A list of places I want to visit keeps me dreaming and full of adventure. And my daily action lists help me to say focused and accountable to myself. I love to just sit in a place and write about what I hear and see and smell. Far too often, we are checking our phones, talking, reading something, rather than just being in the moment. It’s hard to focus on our surroundings these days and be present, but it is so important to our well being. Being observant of my surroundings and taking it all in is always a rich experience that provides me with an appreciation for my day. If I’m in a cafe, I get to smell the roasting coffee beans, hear the chatter of the other customers, maybe even eavesdrop on part of an interesting conversation that leaves me to guess (and write about) the rest. Oh, my friend, there’s so, so much more, I could tell you. I could go on for days and hours about writing in a notebook and how it helps me cope with life and appreciate the simple miracles that happen every day. My notebook is my number one tool for knowing me, trying to know the world, coming to some understandings my interactions with others and for making intellectual and emotional pathways that will lead me back to “positive.” I hope this encourages and motivates you to write, always with the goal of pulling yourself forward and toward the light. 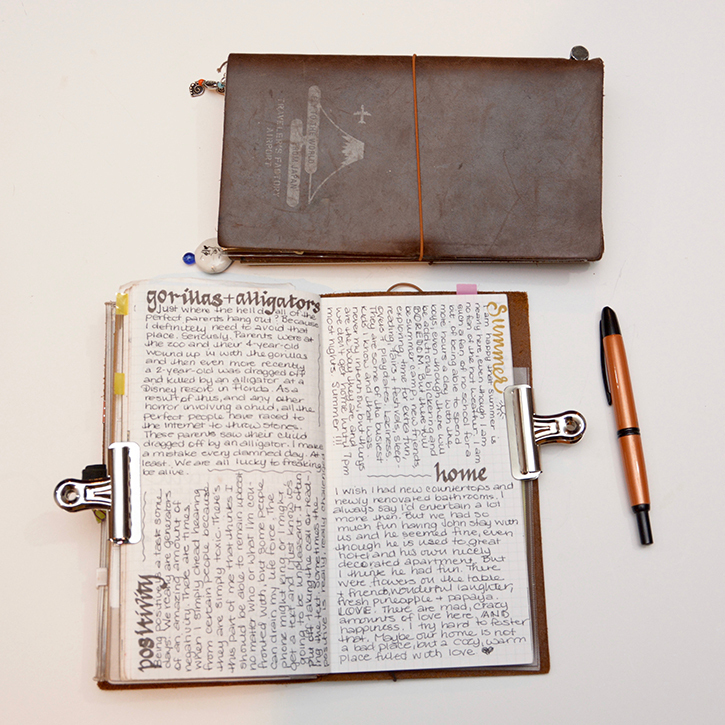 Keep a notebook with you always and write everything in it. Every little thing. And live a life worth writing about. Big fan of this writer….and I’ve only read two posts. this is a very inspiring post. i’ve been filling up my TN with entries about days i’m feeling off and on items from journalling prompts. i love mind mosaics the most, because it could empty and process the mind from either mundane or profound thoughts. i tried my first one today. ? i will do more of these! Beautifully expressed! Wonderful prompts and a heartfelt approaches to living. I do write morning pages, lists and some art journaling. But your way feels organic and natural. Thank you for this post! This is a beautiful essay…and so true. A little over a year ago, I was ready to give up a lifetime of journal keeping. 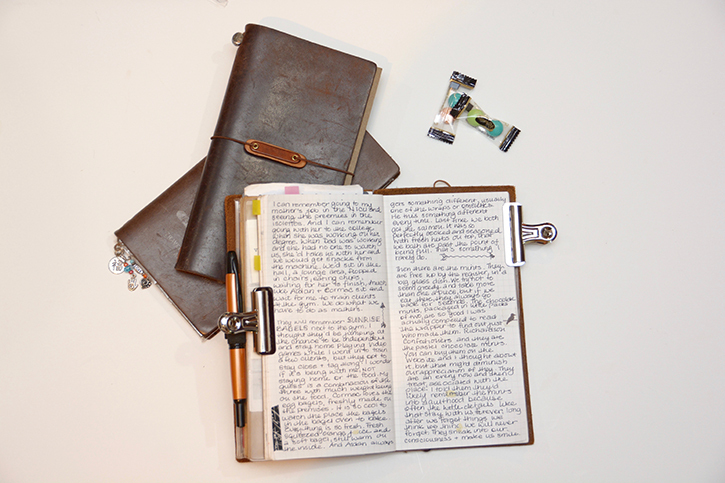 Shortly before a trip to Austria, I discovered Traveler’s Notebooks and I’ve never looked back. Now I use my journal as a planner (Bullet Journal), daily pages, creative journal, and list keeper. Cant’ live without it. YES! to all of this. 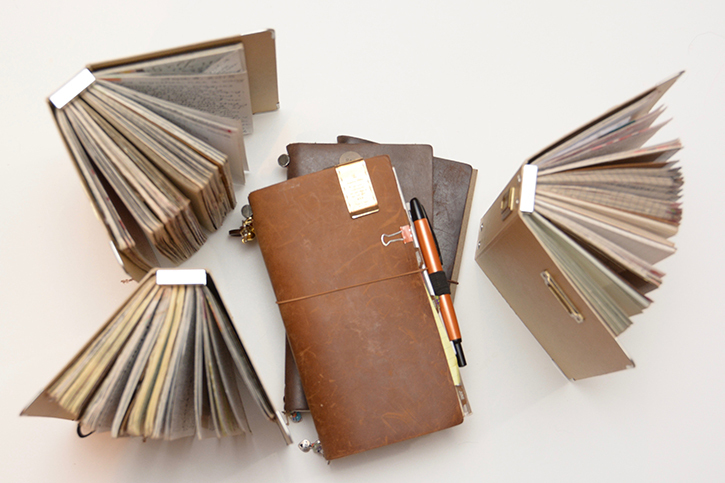 I have notebook upon notebook…filled with confessions, lists, details for projects, dreams & goals. I stumbled upon this uber delicious collections of products & as soon as I get thru the stack of beautiful journals awaiting me? I will begin my TJ adventures.